Provide comfort for the family of Natalia Lopez with a meaningful gesture of sympathy. 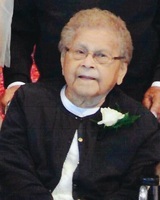 Natalia “Nettie” Lopez, 90, died Saturday, March 30, 2019 at the Kearny County Hospital in Lakin, Kansas. She was born December 1, 1928 in Dodge City, Kansas the daughter of Emidio & Petra (Seguda) Moreno. Nettie grew up South of Dodge City known as Mexican Village where she worked at a cleaners. On March 5, 1957, she married Ralph Lopez at St. Mary Catholic Church in Garden City. They lived in Deerfield where she was a stay at home mom. When her kids grew up, she started cleaning at the United Methodist Church and at Santa Fe Motors. She then worked at High Plains Retirement Village in Lakin, Kansas until her retirement at the age of 62. After her retirement, she enjoyed spending time with her family. Nettie also enjoyed cooking and taking care of her family. Survivors include her husband Ralph Lopez of the home; six children Fatima “Tina” & husband Joe Gonzales of Garden City, Kansas, Daniel & wife Santa Anna Lopez of Garden City, Kansas, Beatrice & husband Kevin Novack of Deerfield, Kansas, Raymond & wife Cristy Lopez of Garden City, Kansas, Cecilia “Sissy” & husband Leslie Davis of Deerfield, Kansas, and Allan Lopez of Deerfield, Kansas; 14 Grandchildren; 37 Great-Grandchildren; and 4 Great Great Grandchildren. Nettie is preceded in death by her parents; a son Gregory Lopez; a Grandson Scott Gonzales; a Great-Granddaughter Raelyn Maddux; and 5 sisters Lupe Guillen, Blanch Gonzales, Snow Sandoval, Pilar Sandoval, & Raquel Moreno. A vigil service and rosary will be held at 7:00 p.m. on Tuesday, April 2, 2019 at St. Anthony Catholic Church in Lakin, Kansas. Funeral Mass will be held at 10:30 a.m. on Wednesday, April 3, 2019 also at St. Anthony Catholic Church with Fr. Peter Tran as Celebrant. Burial will follow at the Deerfield Cemetery. Friends may call from 9:00 a.m. to 5:00 p.m. on Tuesday at Garnand Funeral Home in Lakin, Kansas. The family suggests memorials given to Christ The King Catholic Church in care of the funeral home. 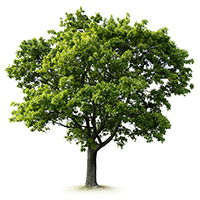 To plant a memorial tree in honor of Natalia "Nettie" Lopez, please visit our Heartfelt Sympathies Store. We encourage you to share your most beloved memories of Natalia here, so that the family and other loved ones can always see it. You can upload cherished photographs, or share your favorite stories, and can even comment on those shared by others. Aunt Nettie will be remembered by us for her loving smile. It was filled with comfort as it glowed from her face. This will always be seen because a piece of that smile rests in each and everyone of her children and grandchildren. We are truly sorry for the loss of this beautiful lady. Our deepest condolences to the family. You all are in our prayers and we love you very much. Ray & Cristy - my deepest condolences to you and your family. May she Rest In Peace. Auntie, how my heart will be forever filled with childhood memories of you and your yummy food! You are the sweetest and kindest soul. Thank you for always loving and accepting me just as I am. Dear family, I am so very sorry for your loss and you all are in my prayers. May Aunt Nettie soar in heaven as she joins our family there. Love you all very much!